With geometry borrowed from its top-end XC competition bikes, Scott’s racing pedigree shines through in the way the Scott Scale 770 darts and flicks around trees and over roots. This is a bike that begs to be ridden fast. The 6061 custom-butted frame is stiff and responsive, and the geometry makes for an agile bike that’s keen as mustard to tackle any trail, up or down. The 90mm stem matches good reach in the frame to the generously wide handlebar. On paper the Suntour XCR RL-R fork provides 100mm of travel, but the dust marks on the upper tubes revealed that we were only getting about 80mm out of the fork. Despite this deficit, it’s a smooth and supple fork, though it has a tendency to be a bit bouncy and out of control. Also, although the frame has a tapered head tube, the Suntour fork uses a non-tapered steerer tube, so you don’t fully benefit from the extra front-end stiffness offered by the frame. 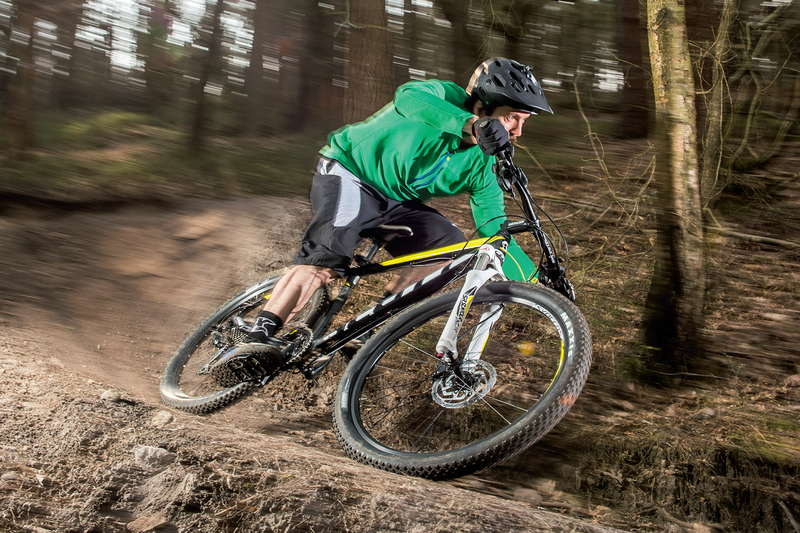 Specification-wise, the Scott is a smart balance between performance and value. 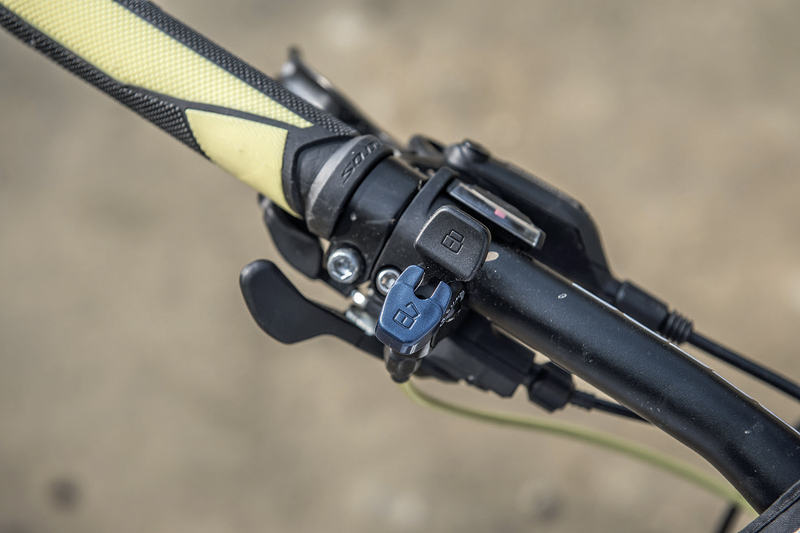 Shimano Deore mechs and shifters that can be pushed or pulled to shift up are faultless. Kevlar-beaded Maxxis Ikon tyres help reduce rotating mass, giving the Scott plenty of zip, and the triple chainset provides a wide spread of gears. Still, a 2×10 alternative would be more in keeping with its race potential, as well as shedding a bit of weight. 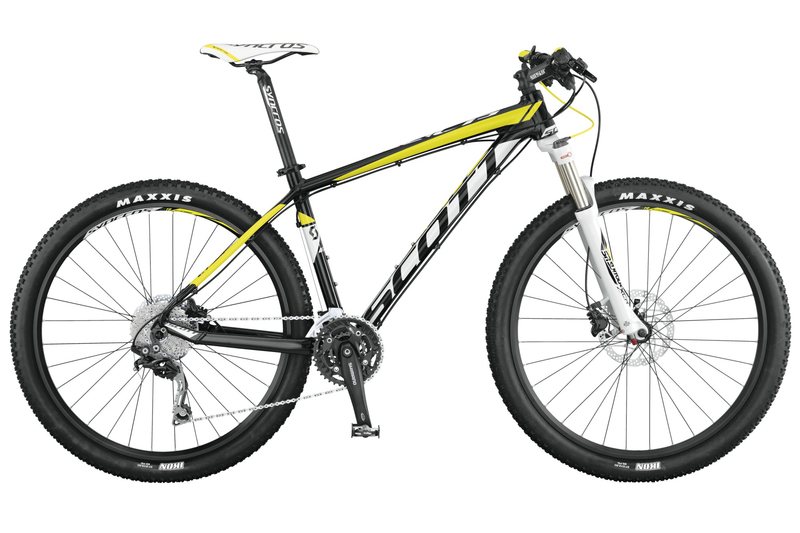 And it’s here that the Scott Scale 770 stumbles — it’s just a bit too heavy to be a race thoroughbred. Thanks to the more relaxed geometry, however, the Scale still makes a good trail bike.